Elstead Lighting Quinto single light table lamp features a circular base and stem holding an adjustable lamp head all in a dark grey painted finish with polished nickel metalwork. The product code for this wall light is QUINTO/TL GPN. 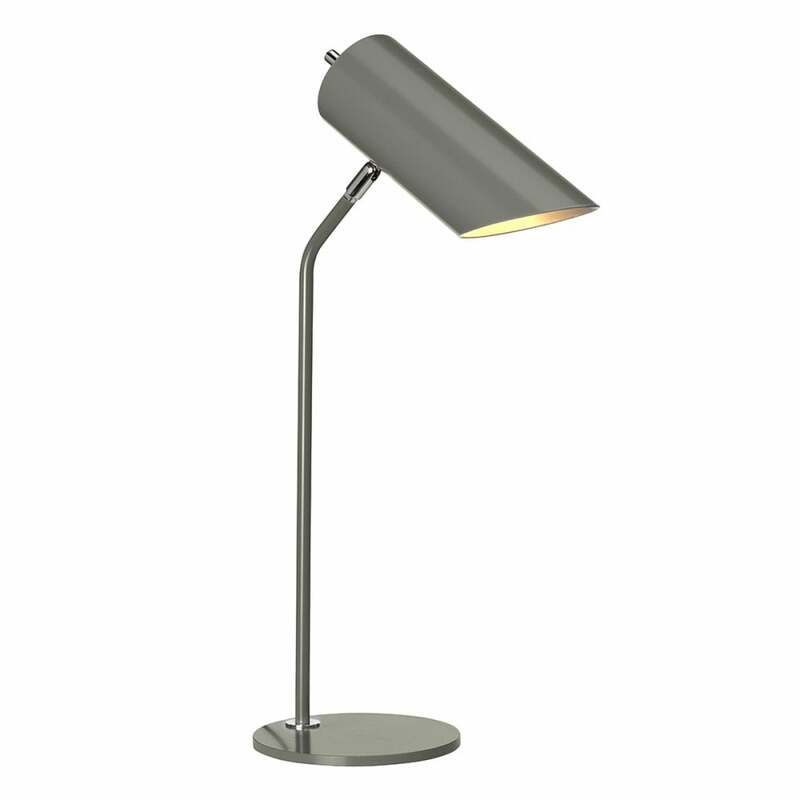 Brighten your home using this stylish yet practical task lamp from the versatile new range from Elstead Lighting. The adjustable lamp head displays a modern style slanted opening and allows you to direct light where required, making this a perfect choice for both modern or contemporary decors spaces alike. Also available to co-ordinate in this sophisticated range is a floor and wall lamp, 6, 3 or single light pendant all of which can be viewed and purchased via our website.